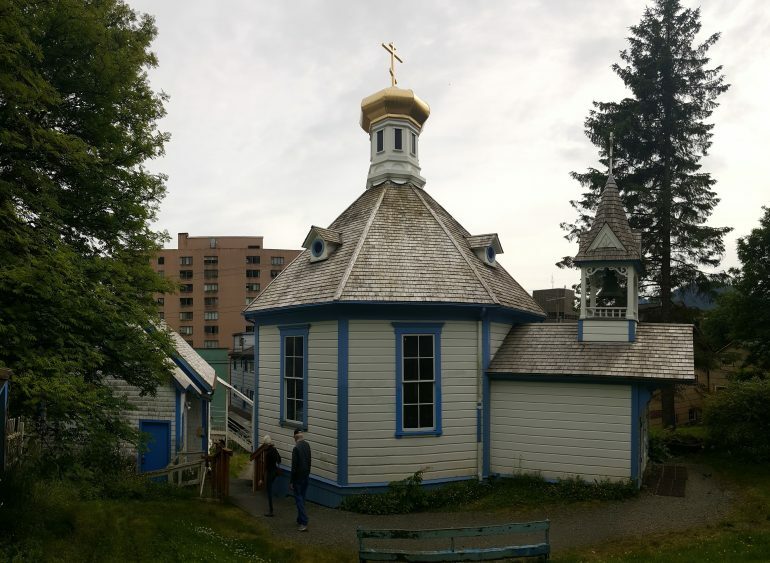 Step into St Nicholas Orthodox Church and enter a significant part of Juneau’s history. 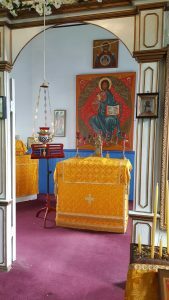 Although Russians had settled in the region in the past, oddly enough, it was under U.S. control that a group of native Tlingit people requested the establishment of the Russian Orthodox Church! 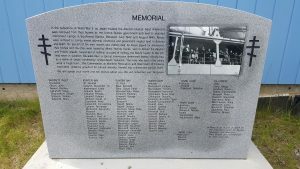 You can see the history of the church at their website here: https://stnicholasjuneau.org/history.html. You can find the church on Fifth Street between Franklin and Gold. Visitors may enter free of admission but the church staff appreciate donations to help maintain the church. Visitors will find the church sanctuary in a small octagonal building complete with onion dome. 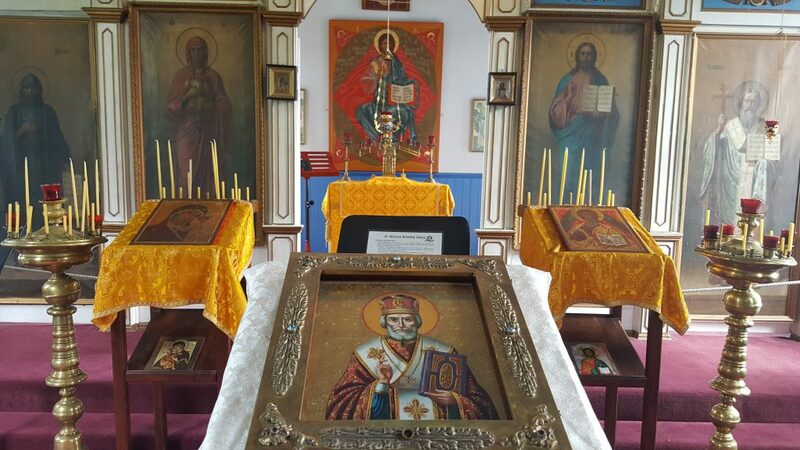 The interior reveals its eastern orthodox flavor and gilded iconographic art cover the walls. 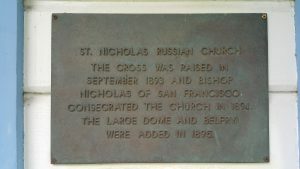 Near the entrance of the church is a plaque summarizing the history of the church. I was fascinated by the architecture of the building especially the ceiling. 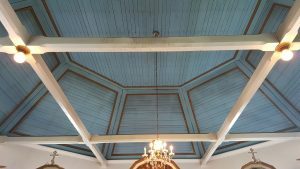 Beams stretch across to support the lights allowing visitors to see the lovely simplicity of the vaulted octagonal dome ceiling. 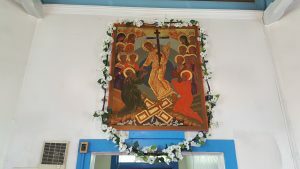 The church is open to visitors every day. However, please be respectful of active services. It is, after all, a church with an active congregation.